A narrow concrete yard has its challenges, but with the right furniture, area rugs, space planning and use of color, it can be a night and day difference. We used artificial green leaf to cover an otherwise ugly concrete wall and water features with a stacked stone backdrop to hide the noise from a busy street. The aqua and taupe color scheme is soothing to the eye and feels cool even in the heat. 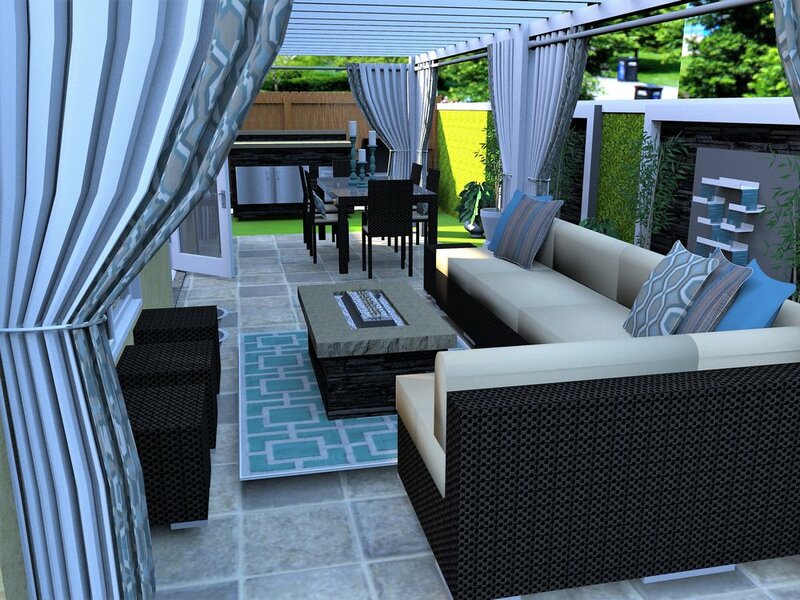 Astro turf makes the patio feel cool under bare feet and since the owners love to golf a putting green is a must. And, we couldn't forget their four legged best friend who needs a dog run.